Road / Cyclocross Disc Rear Wheel - Handbuilt by our Master wheelbuilder with DT stainless spokes. Hi, can you tell me the weight please? Thank you for your enquiry, the weight of this rear wheel is 1105 grams. I hope this helps. Is it possible to buy with higher gauge? 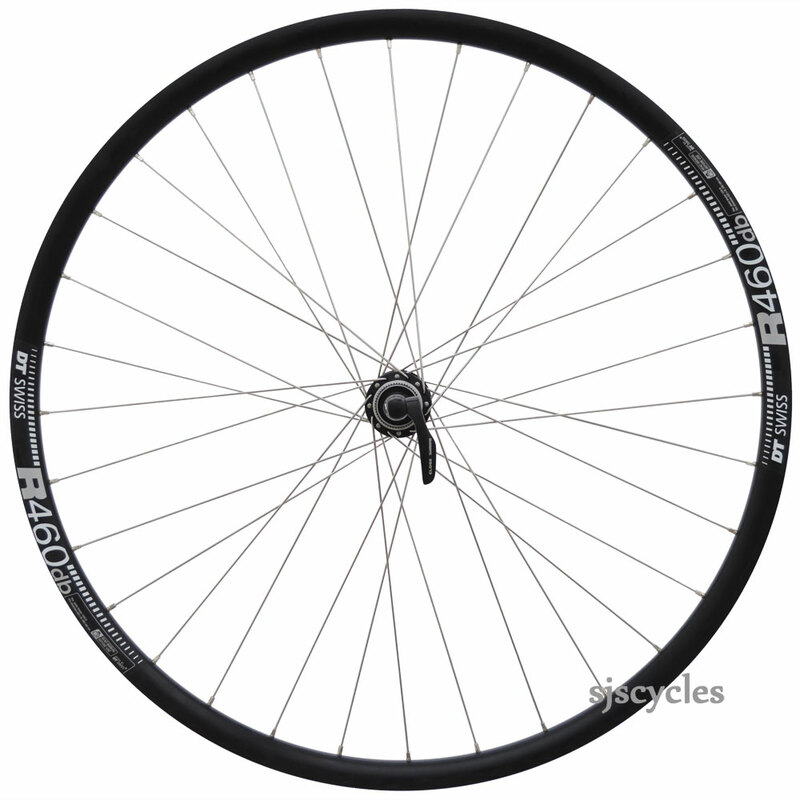 14/15g DT Competition Spokes are used, we can custom build with plain gauge if preferred. What is the maximum recommended system weight for this wheel and how much does the wheel weigh? Also what would be the maximum width tire suitable for this rim. We would recommend these are good for use up to about 110KG, the max tyre is 60mm. Yes you can use this wheel with 9 speed and an appropriate spacer. Can you set up these rims to run tubeless tyres? Assuming I used the correct tubeless rim tape, will they take tubeless tyres? Yes these can be set up tubeless. Can This Have Thru Axle? Unfortunately the hub in this wheel can only be used with a quick release it cannot be converted for use with through axles. Is This Possible To Use 8 Speed Cassette? Yes there is a spacer supplied which will allow an 8 speed cassette to be used.